Achieving Personal Goals, 5-copy Series Set, including student, teacher, and management materials. 5-Copy set including all lesson, teacher, and management materials for the second series in Life Skills 25, Achieving Personal Goals. 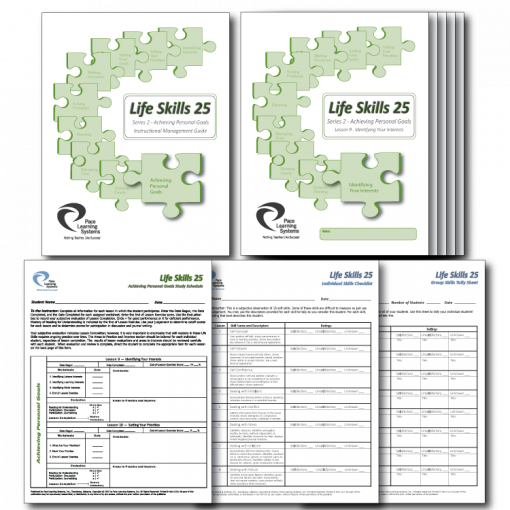 The Life Skills 25 curriculum consists of three self-contained series: Self-Development, Achieving Personal Goals, and Interpersonal Skills.